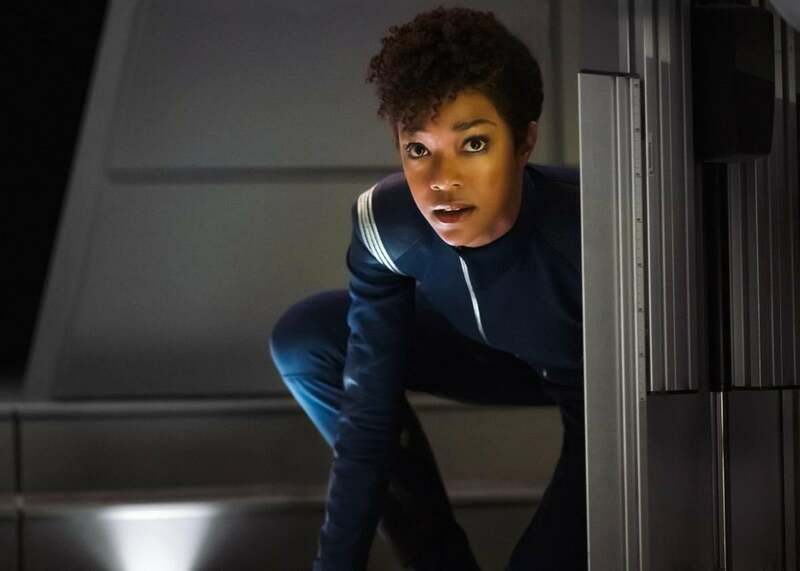 How shows like Star Trek: Discovery stick to canon. How franchises like Star Trek maintain continuity in an age of ever-expanding fictional universes. 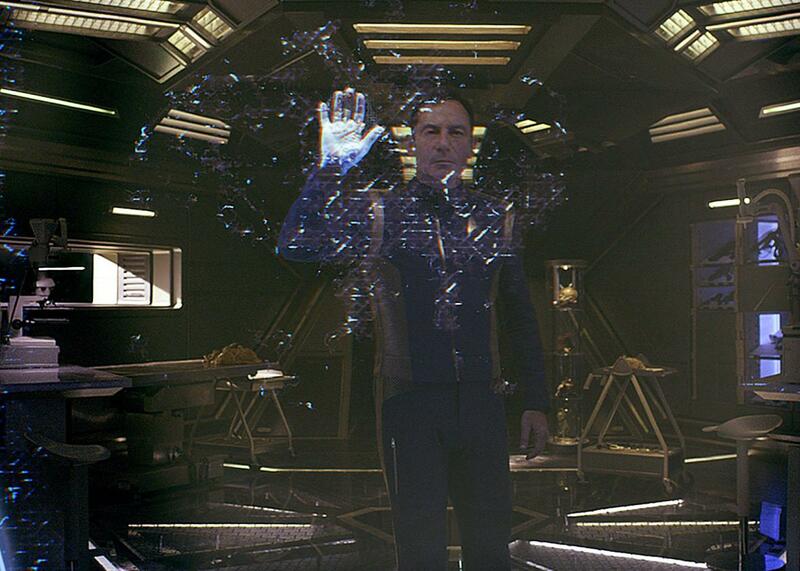 Jason Isaacs as Captain Gabriel Lorca in Star Trek: Discovery. On Sunday, the Star Trek franchise will do something it hasn’t done in more than a decade: It will boldly go. That’s not to say it has been at a complete standstill for the past 12 years. It has, after all, given rise to three blockbuster films since the latest television iteration, Enterprise, went off the air in 2005. But those movies take place in an alternate universe known officially as the Kelvin timeline (unofficially, as the Abramsverse), which was a convenient way for the franchise to revisit the characters and settings of The Original Series without being beholden to the existing canon. CBS’s new show, Discovery, on the other hand, is set 10 years before Kirk and Spock set out on their original voyage, and promises to fill in some of the blank spaces in Star Trek’s prime timeline for the first time since the end of Enterprise. As it does so, its creators are left pondering the same questions that other franchises before it have also faced, but which—in our era of ever-expanding cinematic universes and other growing fictional worlds—are more pressing than ever: How do you honor the existing canon while also breaking new ground? And how do you keep fans on the edge of their seats without also risking the possibility that they might leap to their feet in outrage? Franchises have come up with varying answers. Star Wars, the highest-grossing franchise of all, arrived at perhaps the most extreme solution: After Disney acquired Lucasfilm in 2012, president Kathleen Kennedy formed the Lucasfilm Story Group, a task force whose job was to streamline the existing odds and ends of canon into a single, official continuity. Today, that team has grown to 11 people—archivists and “historians” responsible for both preserving the existing canon and shaping the canon to come. That’s no small task for any franchise, but Trekkies in particular are a notoriously detail-oriented bunch, and Trek’s canon, while now officially comprising its six (soon to be seven) television series and 13 films, has been adjusted many times over the course of Star Trek’s 50-odd years, at times incorporating parts of the various novelizations, tie-in books, video games, board games, and reference material that the franchise has inspired. (The character Hikaru Sulu’s first name, for instance, comes from Vonda N. McIntyre’s 1981 novel The Entropy Effect, but it didn’t officially become canon until it was used, a decade later, in The Undiscovered Country.) Adding an entire chapter to that canon with Discovery, which will fill in the gaps of the cold war between Klingons and the Federation, is a big responsibility, and one that Discovery’s showrunners, Gretchen Berg and Aaron Harberts, don’t take lightly. Sonequa Martin-Green as Spock’s sister, Michael Burnham, in Star Trek: Discovery. Behind that plan is a writers’ room full of Star Trek superfans, who litigate the canon as seriously as courtroom lawyers. “We negotiate. We haggle. We horse-trade. We always ask, ‘How do we serve canon and the story?’ ” said Harberts. “You’ve got to find a way to meet in the middle.” Among the fans in the room Harberts singles out are Oscar-winning screenwriter Akiva Goldsman (A Beautiful Mind), seasoned TV writer Ted Sullivan, and Kirsten Beyer, the author of a series of tie-in novels for Star Trek: Voyager. Individual writers have their own areas of Trekspertise. Beyer, for instance, prepared for writing on Discovery by rewatching every episode of Enterprise, the only series whose events are set before Discovery’s. A lifelong fan of Trek, she says she was hired not only for her abilities as a storyteller but also for her “freakish memory,” which helps her flag parts of the script that could clash with existing canon—and figure out ways to work around those roadblocks. Goldsman, who attended his first Star Trek convention as a teenager in 1976, specializes in The Original Series, which he calls his “first love,” and in the animated series, whose own place in the canon has been widely debated. The production has also hired a researcher, Anthony Maranville, who consults with scientists and physicists in an effort to ground the show’s science fiction in actual science, but who also has what Harberts called “an encyclopedic knowledge” of all things Star Trek. That combined pool of understanding is critical to making sure that Discovery falls in line with what has come before it—and, because it’s a prequel to many of the other series, what comes after, too. For instance, if the writers are dealing with an episode that revolves around the Klingon homeworld Kronos (a purely hypothetical example, the showrunners are careful to emphasize, since Discovery’s plotline is still largely shrouded in secrecy), then Maranville might offer information about the planet’s biological and geographical makeup. Beyer might explain that Discovery’s characters wouldn’t know much about how the High Council operates, because Enterprise’s Captain Archer didn’t have much opportunity to observe the Chamber before being shown the door in “Broken Bow.” And Goldsman might look ahead to Klingon behavior in an episode of The Original Series, to make sure that what happens in Discovery lines up with our knowledge of Klingons in the future. Even with superfans in the writers’ room, not everything can be left up to memory. Lucasfilm, for instance, keeps track of its canon using a massive internal database compiled and maintained by “Keeper of the Holocron” Leland Chee, with tens of thousands of entries with detailed information on the Star Wars universe’s characters, species, technology, and planets. But while StarTrek.com hosts the franchise’s own publicly available database, featuring quick, explanatory entries on everything from warp technology to raktajino (Klingon coffee), Discovery’s creative team has relied on an unofficial source for their research: Memory Alpha, the Star Trek wiki founded in 2003. 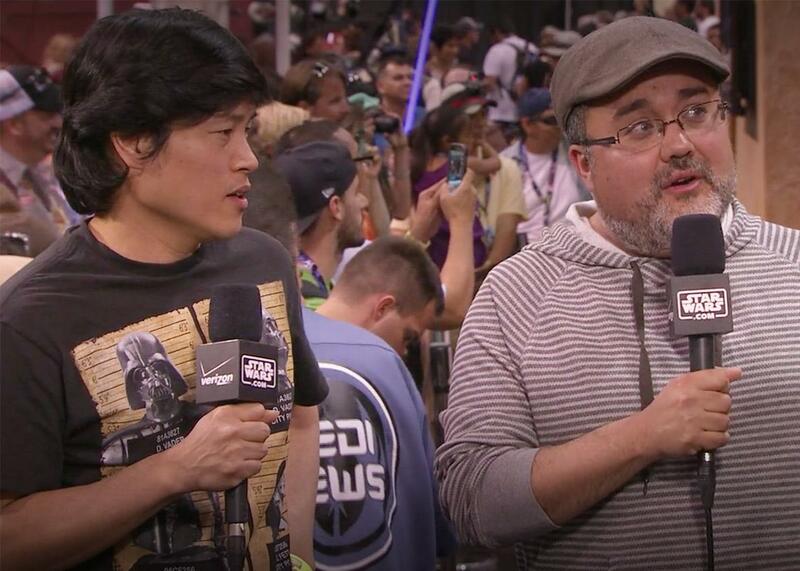 Lucasfilm Story Group’s Leland Chee and Pablo Hidalgo at Star Wars Celebration in 2015. If a fan-edited database sounds like a dubious source for the franchise’s next official installment, then you’re underestimating the almost academic rigor of the most extreme Trekkies. (Or Trekkers, as some prefer to be called.) Named for the planet that houses the Federation’s central library, Memory Alpha is home to collaborative entries that are exhausting in their level of detail—the wiki’s entry on raktajino is 40 times as long as the one in the franchise’s official database—and users’ careful citations make the site “an amazing resource,” according to Discovery’s showrunners. (It’s so well-respected that its founders, Dan Carlson and Harry Doddema, were also consulted on Star Trek: Beyond.) Harberts assures me that the writers are themselves “fanatical” about fact-checking the information they find on the wiki: They’ll sometimes rewatch, or ask Maranville to rewatch, an entire episode based on a single detail in a Memory Alpha entry. But rather than running away from Trek fans’ infamous attention to detail, they’re using it to their advantage. Roles like Beyer’s are proving more and more necessary as on-screen franchises’ universes continue to grow—and as fans, given a voice on social media, continue to grow more outspoken. Some franchises, like the Harry Potter universe, operate largely under the assumption that the author’s word is law, whether that word is in a published novel or a single tweet. For others, though, it’s not that simple. Can the Marvel Cinematic Universe, for instance, continue to depend on Marvel Studios president Kevin Feige to keep all his superpowered ducks in a row, or will Marvel co-productions such as Sony’s new Spider-Man movies lead to one stepping out of line? Now that HBO’s Game of Thrones has outpaced its source material, which version of Westerosi history will fans consider more canonical—the TV series or George R.R. Martin’s books? And who will be the Leland Chee of the Fast and Furious–verse? As these series continue to explore strange new worlds and seek out new life forms, they will have to make a more and more concerted effort to adhere to Spock’s creed that “the needs of the many outweigh the needs of the few.” How else can a franchise expect to live long and prosper?